3 Simple Steps to Add to Wish List. 1. Click on Add to Wish List button. Please click on Add to Wish list button from the stock detail page or from the stocklist in case of stock. However you can click on A B C D buttons on the auction stocklist or detail page. 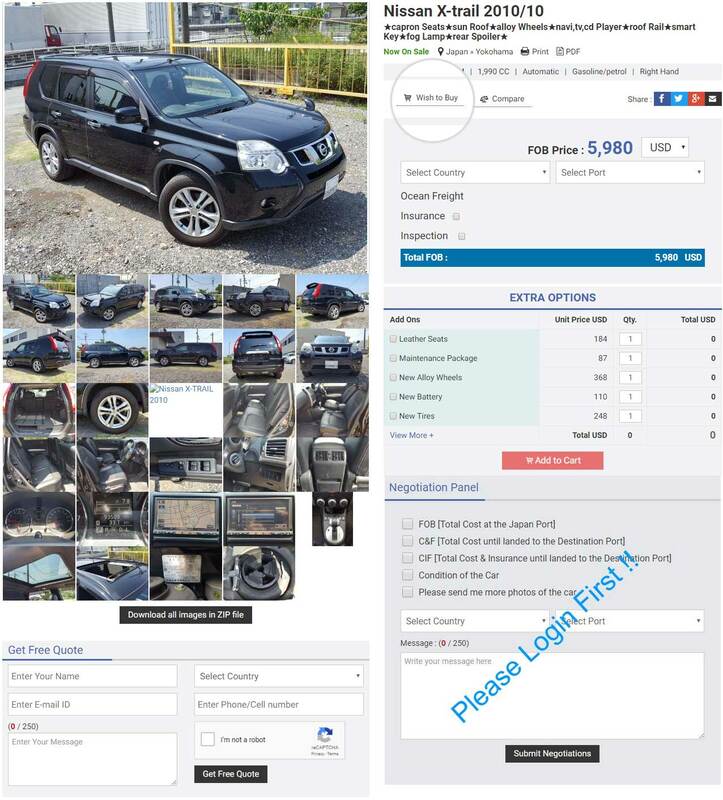 Check the vehicle added in Wish List of Stock and Auction in your account. 3. Send Inquiry or Make Bid. Now Send Inquiry or Make Bid directly from your wish list for the stock and auction stocks respectively.